Bloodwise Childhood Leukemia Cell Bank (CLCB) has been awarded UK Biobank of the year 2017. The award was presented at UK Biobanking Showcase on 18th October, 2017 in London. Northern Ireland Biobank were awarded runner up. 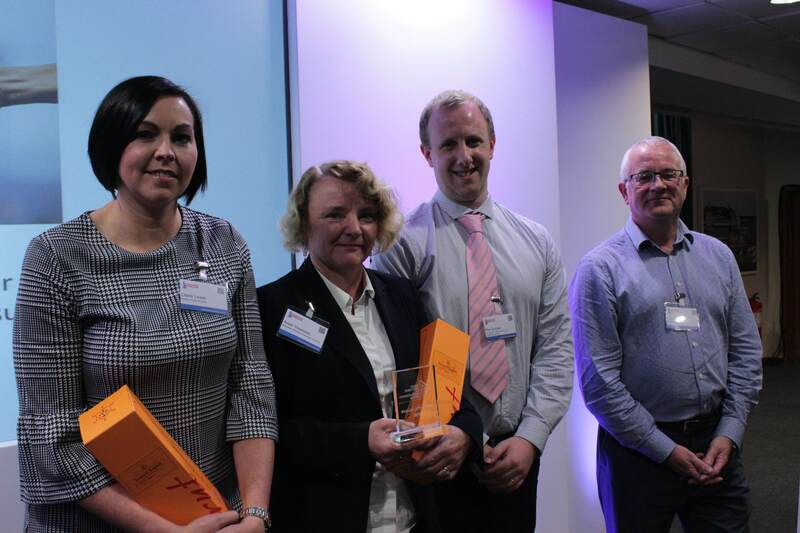 The UKCRC TDCC launched the award in 2016 as a way of recognising the work of Biobanks. Now in it’s second year, the award has attracted significant interest following a successful year for the 2016 winners. 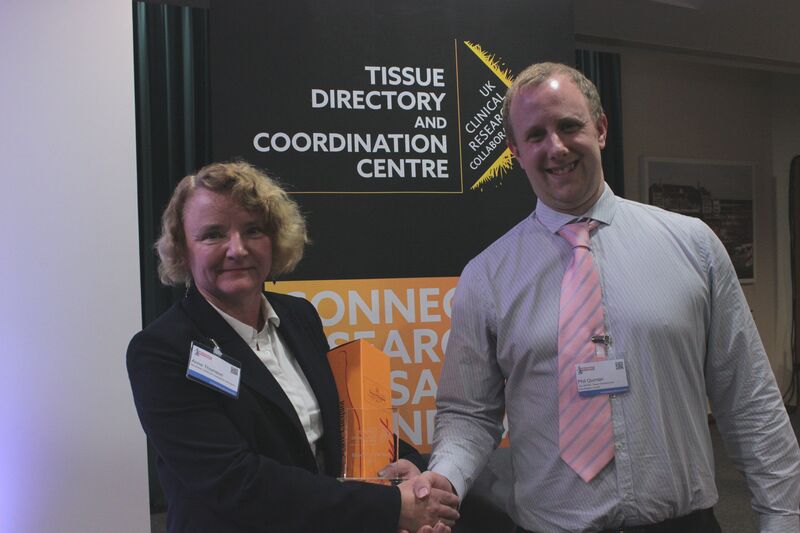 Ethical Tissue, a Biobank based in Bradford, won the inaugural award last year. Kevin Adams attended the UK Biobanking Showcase on behalf of Ethical Tissue and presented the 10 ways it had had an impact on them. The list included increased support both internally and externally and a bursary to attend a Biobanking conference in San Francisco. Both Kevin Adams and UKCRC TDCC Director Phil Quinlan presented CLCB with this year’s award. It is hoped that the award will have an equally beneficial effect on CLCB in the coming year. For more information on the award, event or how you get get involved in the future please contact us.